Put your Play-Doh experience to use. Advertised as the Duct tape of the 21st century, I quickly became interested once I heard about it. 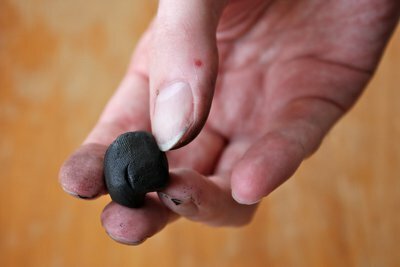 It's a moldable rubber silicone compound that hardens after being exposed to air. It can be used to fix many different things that would be difficult to fix otherwise. Seeing many different applications for bicycles got mye thinking about all kinds of things that I could use it for. I briefly looked into cheaper alternatives (like V-tie), but the reviews indicated that those were inferior to Sugru. 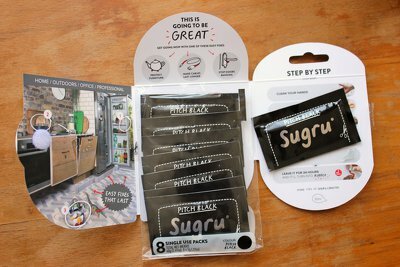 Sugru is sold in packages of three or eight packs. You can have it in all different colors, all white, all black or four black and four white. Most of my intended uses were for black, so that is the one that I got. 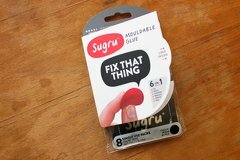 Sugru has an expiration date, after one year it becomes unmoldable. You can extend this by keeping it in the fridge. The Sugru I received was still good for another year, and I put it in the fridge right after getting it, it's a good place to store it. But I feel like I will probably use it up long before it expires. 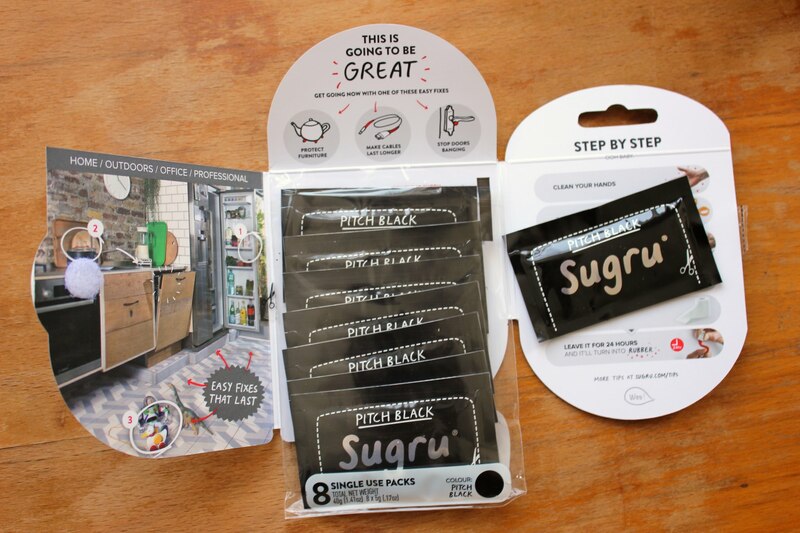 An eight-pack of black Sugru. 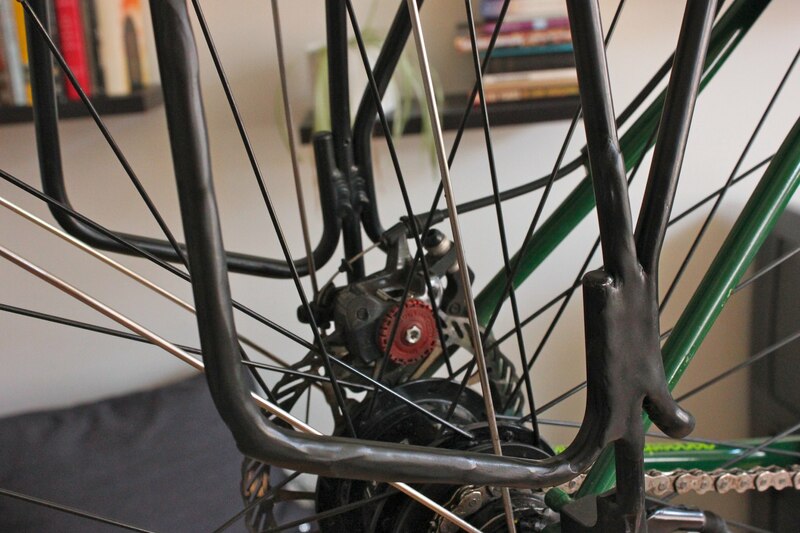 The first thing I used Sugru on was on my bicycle's rear luggage carrier. Commuting every day with the Ortlieb Office-bag was beginning to seriously wear down the rack. The bag has anti-scratch material on most of its contact points, but not on the plastic corners. On the bumpy sections of my commute I can hear the bag moving around. 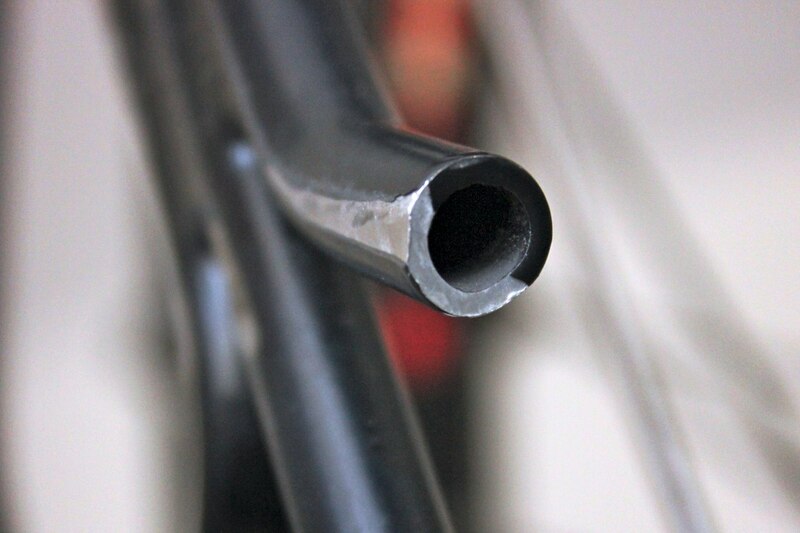 Visual inspection showed that the aluminum tubing is wearing thinner. Bare aluminum is exposed on parts of the rack where things have rubbed against, from leaning the bicycle and panniers. The aluminum tubing is visibly starting to wear. 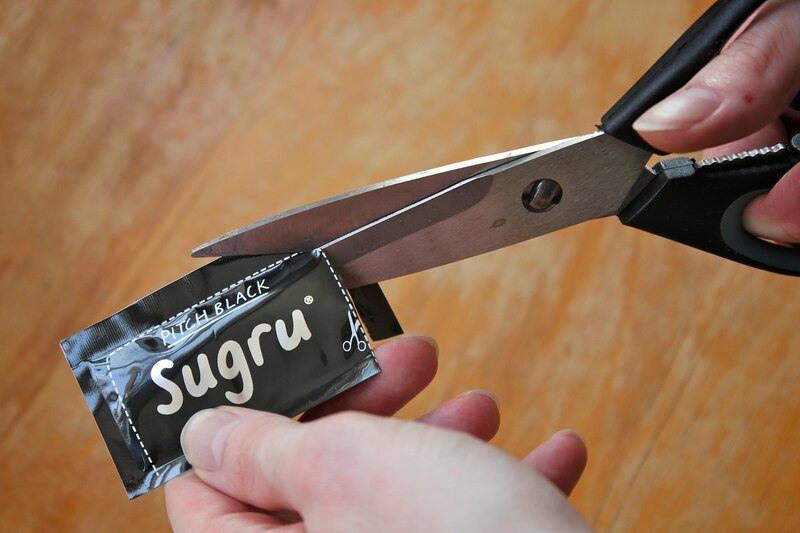 Opening the Sugru package revealed a sticky yet slightly crumbly material. It is easily moldable in your hands, but leaves residue on your hands. It took me several attempts to evenly apply it on the rack. The scratches told me exactly where to put it, and I spent a lot of time smoothing it with my fingers. It's relatively easy to remove fingerprints by rubbing long streaks. The problem was that I did not have a good idea of how thin I could make the layer of Sugru. If you make it too thin it starts to break apart and crumble, if it does have enough surface area to stick to the underlaying material. The packaging is quite luxurious. A single pack containing 5 grams of black Sugru. 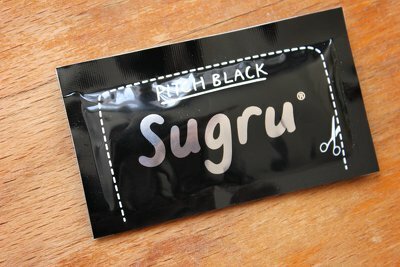 Some Sugru sticks to the packaging, just wipe it off with the other Sugru. The black Sugru leaves quite some stains on your hands. It's quite difficult to make noodle shaped piece with consistent thickness. I had to use two five gram packages of Sugru to cover the scratches on the right side of the rack. This means that I could use up all my eight packages just for the two rear racks of two bicycles. Applying the Sugru between the nooks was a bit difficult my fingers were too thick, and using tools did not give the Sugru a smooth surface. Eventually I just settled for a slightly bumpy result. 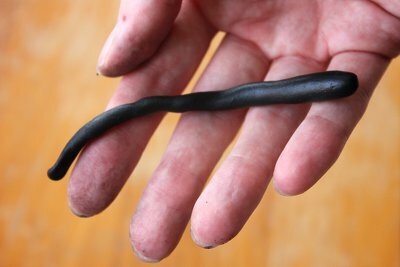 Getting the black stains of Sugru off my hands was quite difficult. Water and soap do nothing, scraping it off with my nails seemed the most effective for getting most of it, but even then I was left with some under my nails. 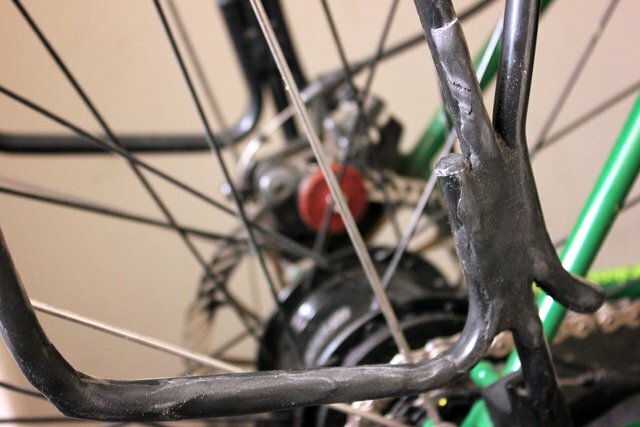 Sugru applied over the scratches on the rear rack. 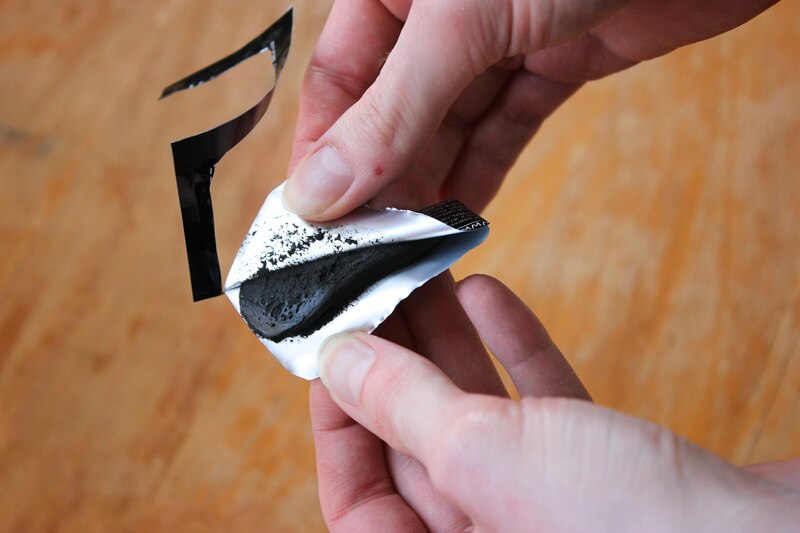 Making the Sugru smooth between the nooks is nearly impossible. After it dried the Sugru had bonded to the paint and aluminum rack very strongly. I was expecting it to feel soft and flexible like rubber or silicone, but it felt much firmer then expected. This is good, for the purpose of using it as a anti scratch layer. The matte black finish blends very well with the rest of the rack. 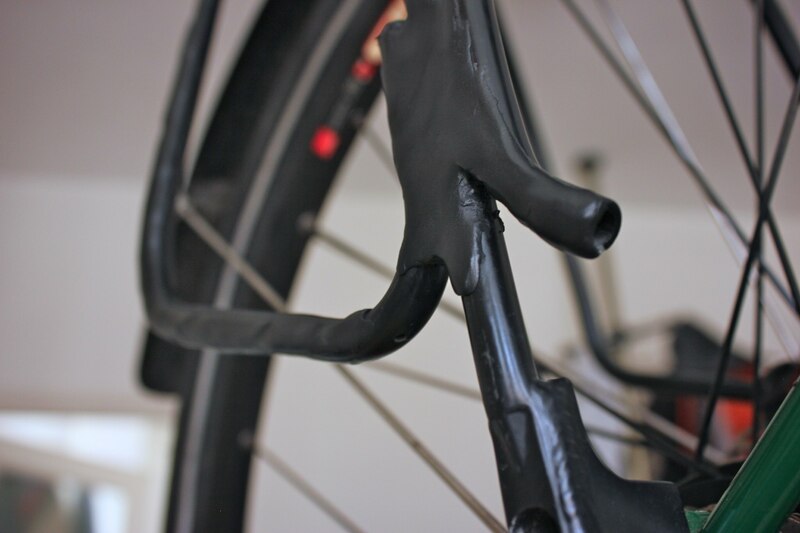 The Sugru is hardly noticeable, unless you pay particular attention to it. On the first ride to work I did notice an absence of sounds coming from the rear. 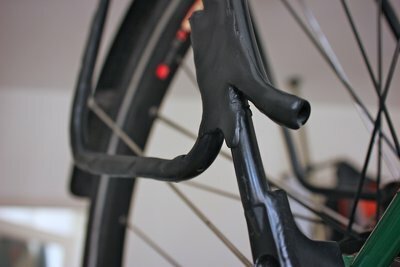 I had just lubed the chain, and the bicycle itself was completely silent, and even on the bumpy sections of road the bag made much less noise. After riding my bicycle around on gravel paths during spring time with lots of pollen in the air my bicycle was quite dusty. Although the Sugru is not sticky, dust does cling to it. The part of Sugru on the top was coming loose at the end where it was thin, so I cut it off. 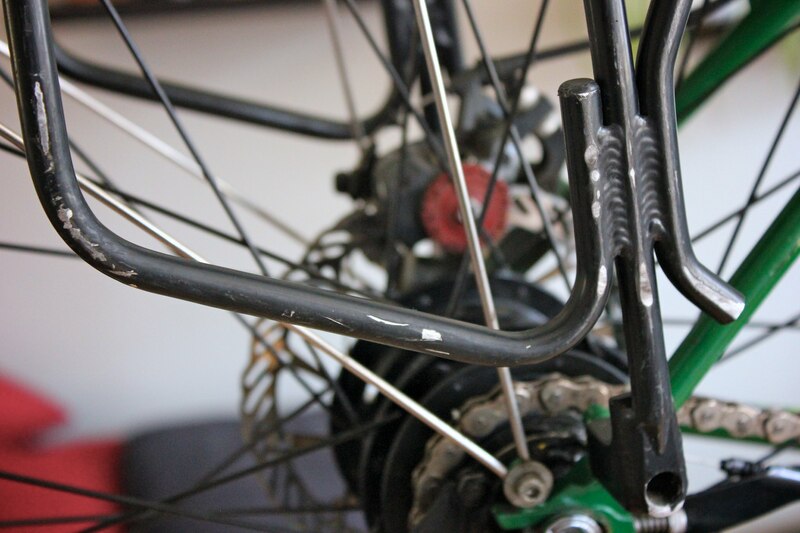 There are also some scratches in the Sugru, probably caused by my pannier rubbing against it. This article will be updated with more long term results. Sugru a few weeks later after drying, and being exposed to dust, pollen and nearly daily rubbing by a pannier. 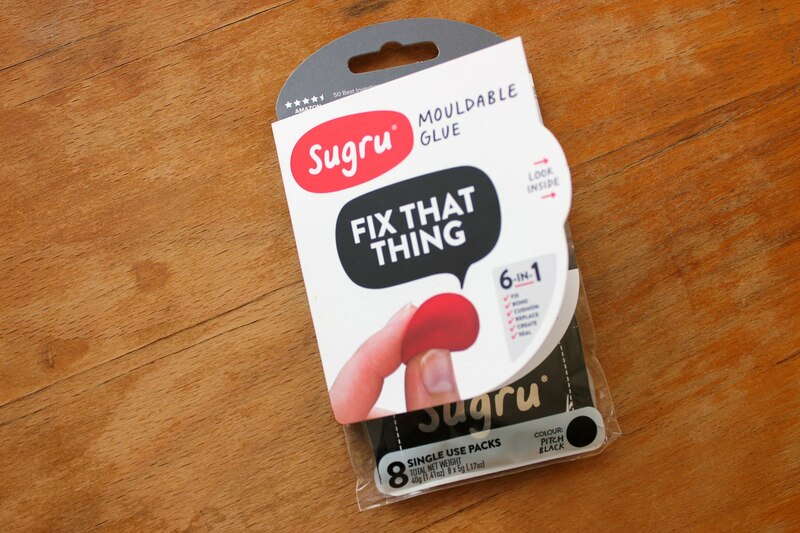 Sugru opens up a whole new type of fixes that would otherwise have been really hard. You can extend the use of items that you otherwise would not have been able to repair. It can save money, but the fact that it expires after a year, takes 24 hours to cure, and the price mean that you have to think ahead about whether something is worth applying it to.